Plan A Bahamas beach wedding reception with Chic Bahamas Weddings! Planning a Bahamas outdoor wedding reception be it at a beach or garden isn’t very different from planning a regular reception. The main difference, obviously, is that your celebration will take place in a garden or the beach! There are a number of essential inclusions for an outdoor wedding reception. This often depends on location. In this case, an outdoor luxury tropical location requires unique decor and specific planning ideas. 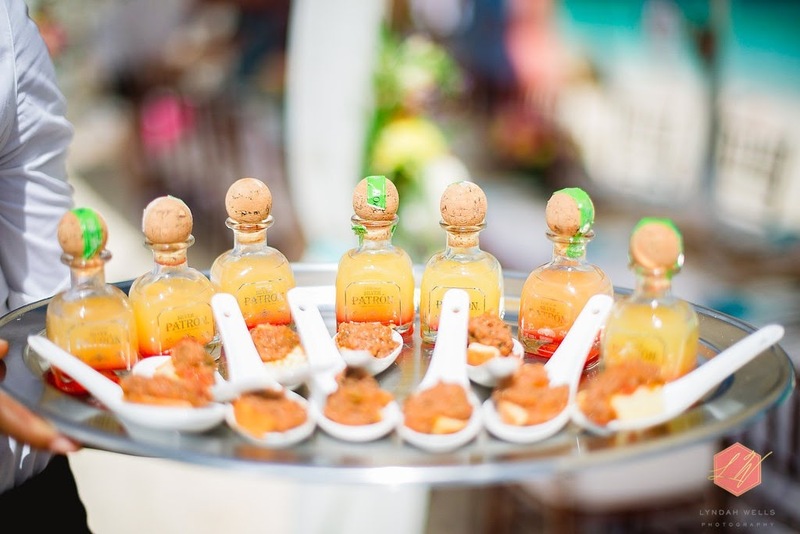 Whether or not guests are arriving to your wedding from far away, it’s important to offer favors. Because you’ll be hosting a destination wedding, consider putting a Welcome Bag. An elegant tote bag fits the bill. Personalized hand-painted wine glasses, starfish bottle openers, nautical-themed coasters, rum cakes, Bahamian shell candles and conch shell dishes are all great keepsakes. Your guests can use these again and again. Cinematographer. The biggest regret among recently wed couples is the lack of a cinematographer. Nowadays, wedding films are more necessary than ever before. The right cinematographer will capture the elegance of your beautiful Bahamas beach wedding reception. The same applies for a lovely Bahamas garden wedding reception. Photographer. A Bahamas wedding photographer is extremely important, as he or she will ensure you have a visual reminder of the event to last lifetime. The best photographers will keep up with the latest trends, such as keeping up with your Instagram #hashtag. Bartender. For your reception, you’ll have to decide between the type open bar … Premium or Ultra Premium. Regardless, you’ll need someone to do the serving. For an outdoor beach wedding, consider serving champagne or another elegant beverage as your guests arrive to the party. Caterer. A wedding reception at a private estate needs to have amazing cuisine. There are numerous types of meals to choose from for your Bahamas beach wedding reception. A full-service plated dinner is great. We’re huge fans of the Flying Fish Restaurant in Freeport, which offers both catering and private dining options. This superb team will travel anywhere in The Bahamas to cater your event. Banquet manager. Perhaps the most important member of your wedding reception’s staff, is a banquet manager or similar senior staff member will be available throughout the wedding day. He or she will pay attention to all fine food and beverage service details. He will also catch any potential small mishaps before they occur. Music. Wedding reception entertainment can either involve a live band, string quartet, guitarist or steel pan band for cocktail hour or a disc jockey. Be sure to book entertainment well in advance. 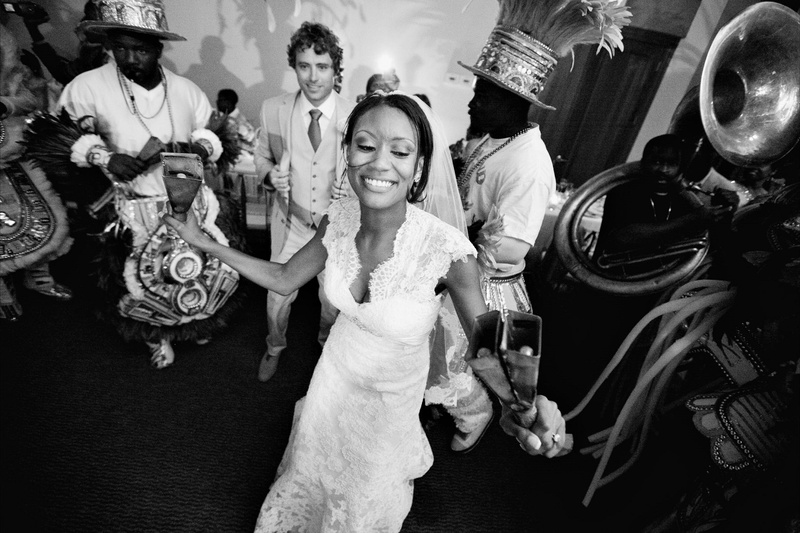 The most important consideration is what type of music you want at your reception. A band will usually either have a wide repertoire or a specific skill in one type of music, so consider exactly what you want. On the other hand, a professional DJ is a highly appealing option. Either way, you’ll have to tell your musicians which songs are most important. What song do you want for your first dance? How about the father/daughter and mother/son dances? After the reception, it’s okay if you want the party to keep going. If anything, your friends and family may encourage an after party! With a reception was on the waterfront or garden, you may want to moving the after party inside is a super option. If so, be sure to book the space beforehand. Our planners at Chic Bahamas Weddings can help relieve the stress while paying attention to important details. Often, enjoyment rests in the particulars. A designer can help ensure everything works smoothly. If you’re not sure where to get started on your Bahamas beach wedding reception, Chic Bahamas Weddings can help. 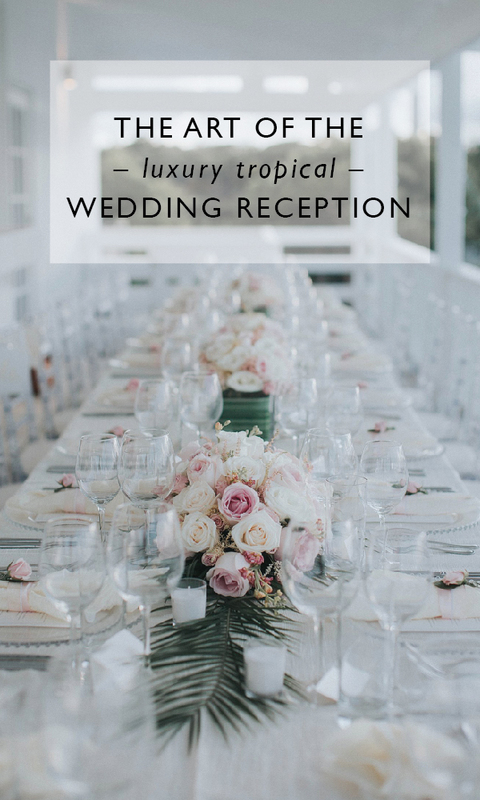 We want to make sure all guests are taken care of throughout the entire process, and we are available to manage catering, photographers, cinematographers, and more.